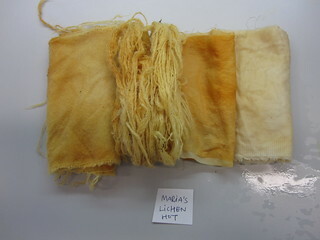 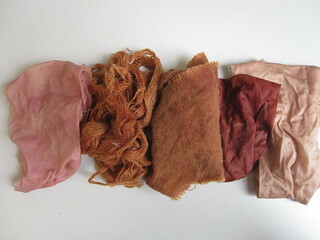 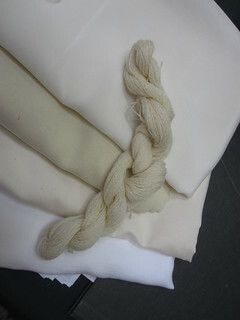 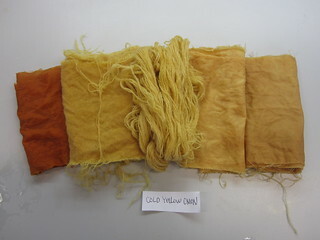 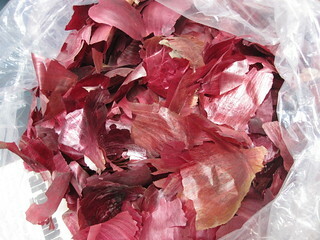 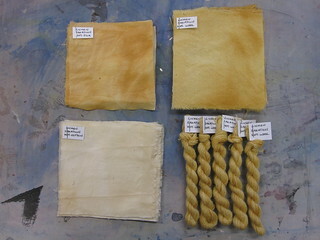 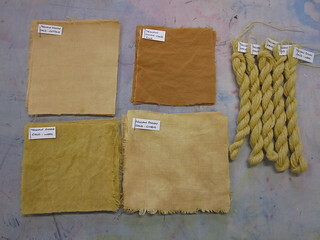 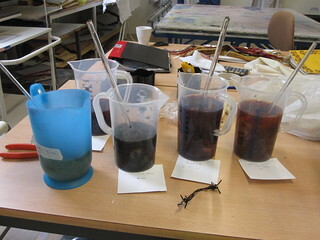 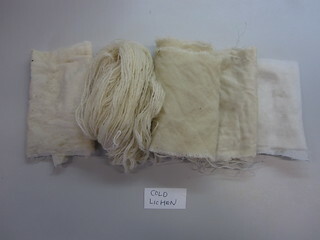 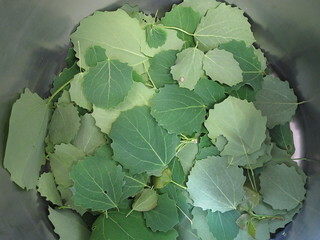 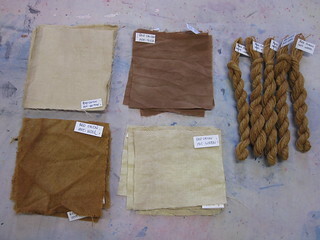 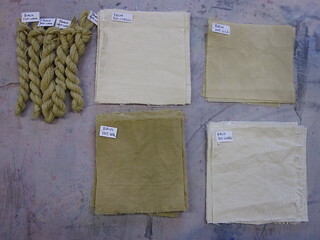 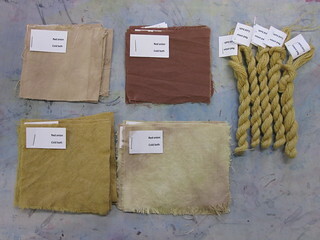 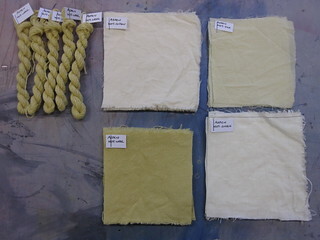 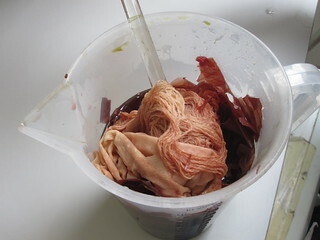 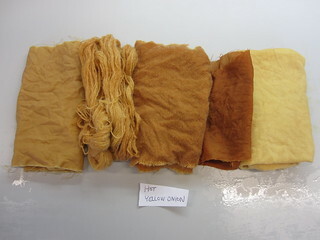 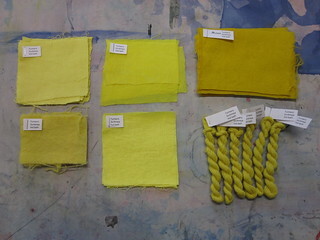 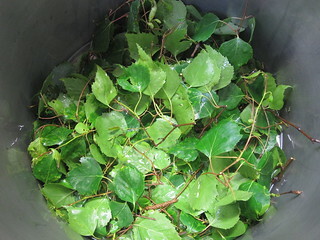 Smart textiles Design Lab has organized the Natural Dye workshop at the Swedish School of Textiles. 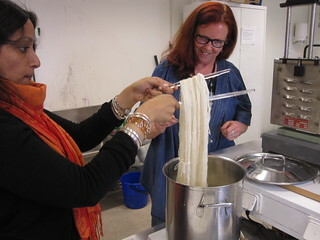 The workshop took place on 7th and 8th of June at the Dying lab. 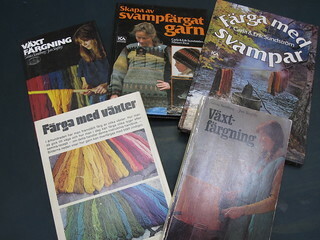 We had some reference books to check the dying recipe. 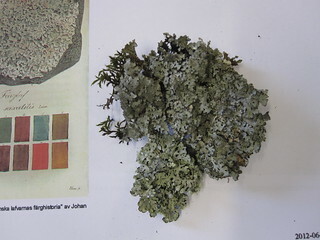 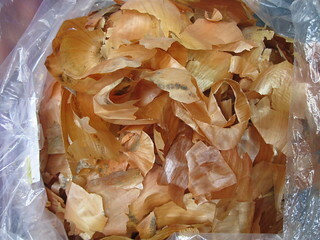 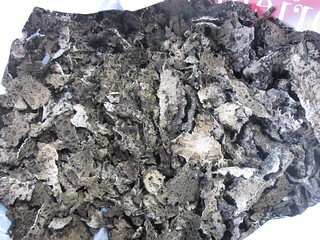 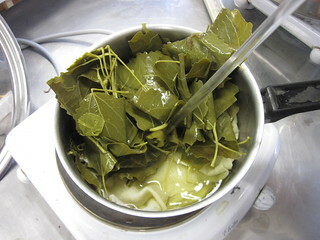 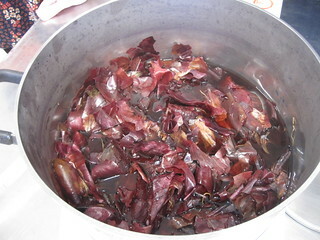 The ingredients are cooked in boiling water for 30min (onion shells) to 60 min (Lichen). 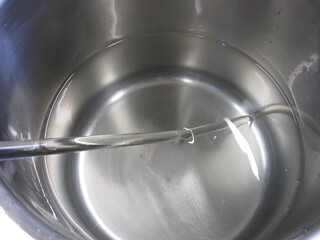 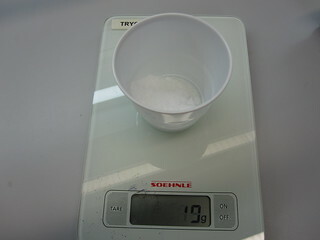 We used 1L of water for about 200g ingredients. 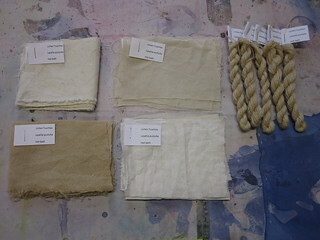 (It depends on the kinds. 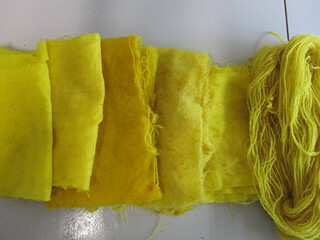 The more you ingredients you have, the stronger the color comes) In the case of Turmeric, one tea spoon for 1L was enough. 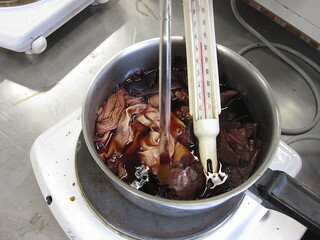 For warm dye bath, we kept the bath at 90 degrees. 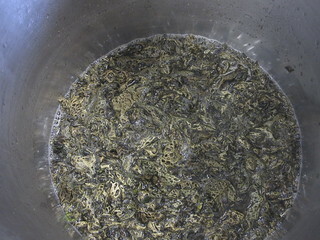 Make sure not to boil them at this point. 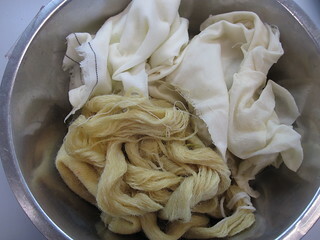 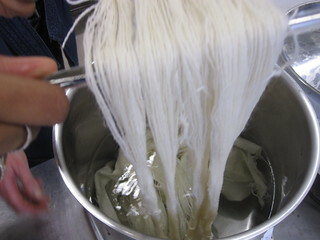 When adding the textile materials, we wet it with warm water first to avoid the sudden temperature change on materials. 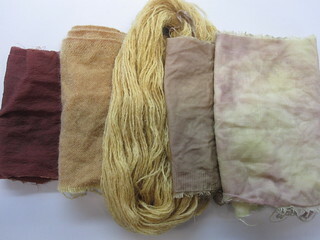 We have also experimented with cold dye bath. 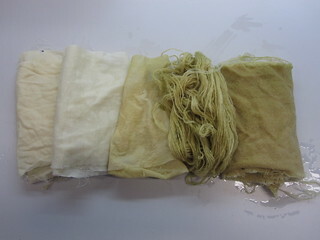 We added the textile material in the room temperature dye bath and left it over night. 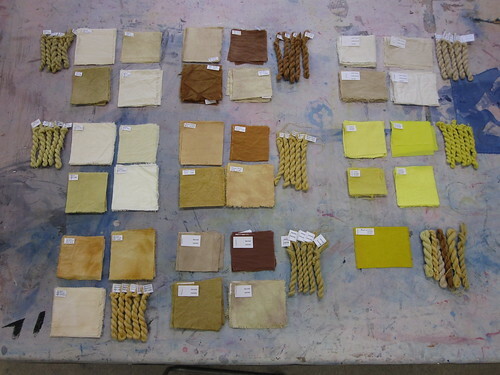 June 10, 2012 | Filed under News, Workshops.